It’s beginning to feel like we’re entering a truly cross-play generation. For most of 2018, fans rallied against Sony for being a thorn in the side of the industry where cross-play was concerned. Games that should have offered cross-play support, didn’t, despite the fact that one of the first shining examples of cross-play came when Rocket League first hit PlayStation as a free download. At some point, Sony’s tune changed. Fortunately, a bit of a miracle took place in the fall, after it was announced that Fortnite was enabling cross-play functionality between all platforms. Even if Fortnite isn’t for you, it’s easy to appreciate the cross-play push made by Epic. For all we know, that push could have been key to increasing the feature’s momentum. Today, Sony has given us another example of how it’s beginning to embrace this whole cross-play thing. 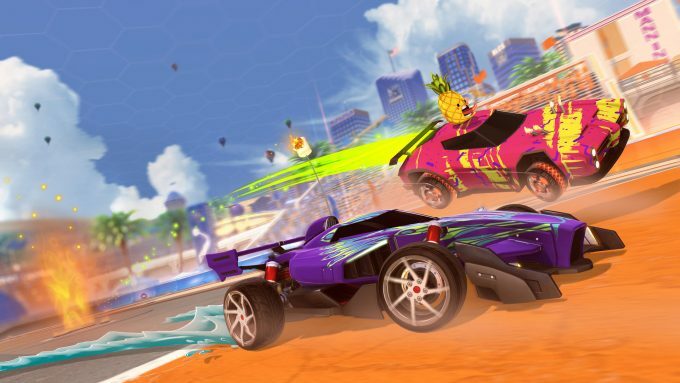 We’re back to Rocket League, that shining example of cross-play mentioned before. Now PlayStation gamers can play against Xbox, Switch, and the PC (Windows, Linux, or macOS). Since there’s no great reason to separate players based on platform in Rocket League (since everyone is playing with a gamepad or their preferred control input of choice), what this move ultimately means to you is that queue times should decrease. That’s cool now, but potentially important down-the-road. Currently, only match-modes are available for cross-play, but other features will be piled on as time goes on. This is ultimately very good to see, but I can’t help but feel like cross-play should have taken off long ago, especially since it could have. Phantasy Star Online for the Sega Dreamcast in 1999 allowed players to team up with friends on the Mac and PC. Recently, the Forza Horizon series has become a perfect example of how seamless cross-play gaming can be. This whole cross-play thing has been an interest of mine for a while. I wrote a piece whining about Sony’s holding out back in 2017, and in that article mentioned that cross-play support would be simply amazing for Destiny 2. In actuality, that game has given us no cross-play functionality outside of clan membership. But… just last week, Bungie announced that it was breaking up with Activision, which has (possibly naively) begun to make me wonder if Destiny 3 will support it. After all, those two effective roadblocks will be no more.